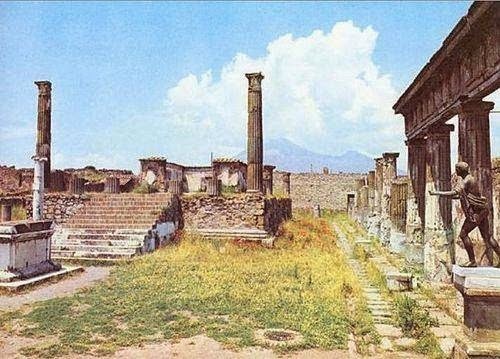 The city of Pompeii was an ancient Roman town-city near modern Naples in the Italian region of Campania, in the territory of the comune of Pompeii. 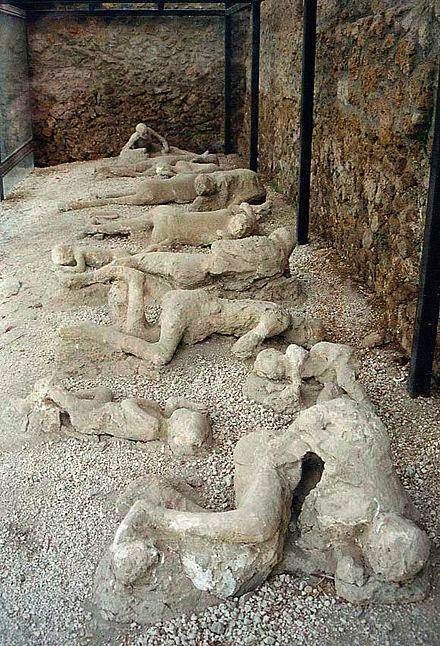 Pompeii, along with Herculaneum and many villas in the surrounding area, was mostly destroyed and buried under 4 to 6 m (13 to 20 ft) of ash and pumice in the eruption of Mount Vesuvius in 79 AD. 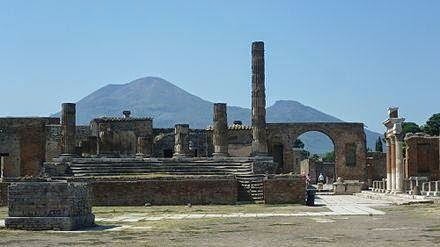 Researchers believe that the town was founded in the seventh or sixth century BC by the Osci or Oscans and was captured by the Romans in 80 BC. By the time of its destruction, 160 years later, its population was probably approximately 20,000, and the city had a complex water system, an amphitheatre, gymnasium and a port. The site was lost for about 1,500 years until its initial rediscovery in 1599 and broader rediscovery almost 150 years later by Spanish engineer Rocque Joaquin de Alcubierre in 1748. The objects that lay beneath the city have been well preserved for centuries because of the lack of air and moisture. These artifacts provide an extraordinarily detailed insight into the life of a city during the Pax Romana. During the excavation, plaster was used to fill in the voids between the ash layers that once held human bodies. This allowed one to see the exact position the person was in when he or she died.